Sandra E. Oswald, Falls City, NE was born June 11, 1962, in Hiawatha, KS to William and Lois (McCoy) Oswald. Sandy worked at the Casino White Cloud and the Sac and Fox Trading Post for 20 years. She enjoyed working, her animals, spending time with her grandchildren, nieces, nephews and was very family orientated. 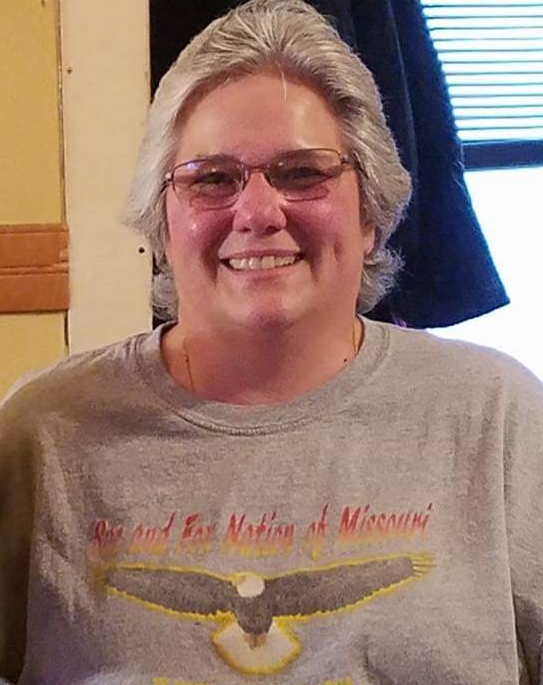 Sandra passed away in Lincoln, NE on Wednesday, November 21, 2018 at the age of 56. Funeral Services will be held at 11:00 a.m. on Tuesday, November 27, 2018 at Good Assembly of God Church in Falls City, NE. Visitation will be from 12:00 p.m. to 8:00 p.m. on Monday November 26, 2018, at the Hall Funeral Home, 2403 Harlan Street in Falls City, Nebraska. Burial will be in the Claytonville Cemetery, rural Hiawatha Kansas. Memorial contributions may be given to the Falls City Humane Society. Condolences can be shared at www.hallfuneral.net. Arrangements entrusted to Hall Funeral Home - 2403 Harlan Street – Falls City, NE (402) 245-3131.